For those looking to begin exploring the underwater world, this is where you start! 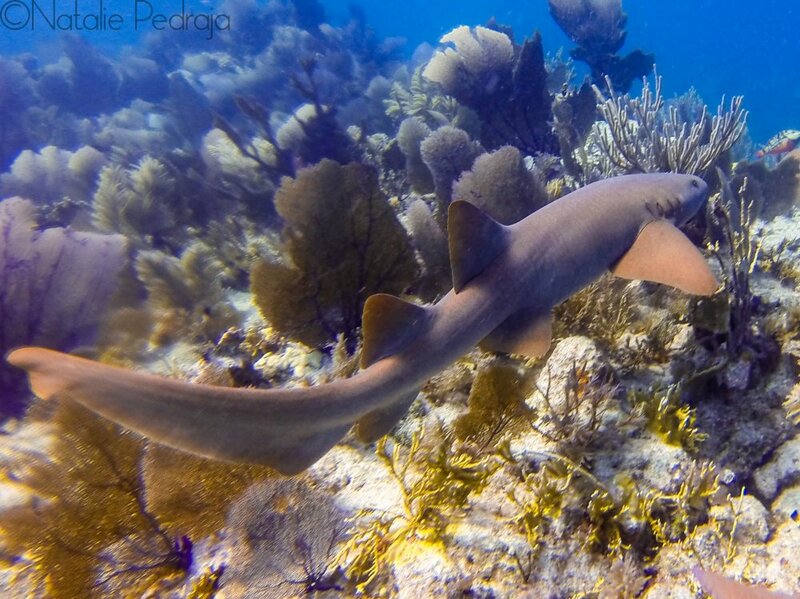 If you are headed out on a cruise and want to see Grand Cayman a little differently, or if you have aspirations of being the next Jacques Cousteau, this is where your adventure begins! The 3 easy steps outlined below will have you on the path to underwater bliss in no time! Everything starts with a trip to The Dive Shop. Your first visit is where we get all the paperwork out of the way. 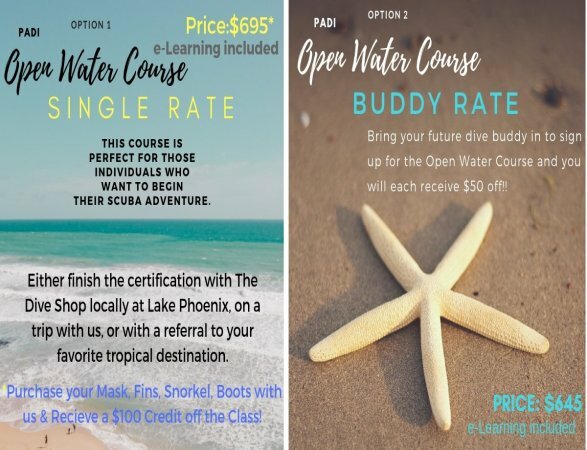 You'll fill out your student folder, pay for your course, and receive your PADI e-Learning Code. Students who require a medical physical prior to diving will receive their medical statement. Students will have a few hours of independent study prior to class which is outlined in your e-Learning materials. Our class consists of two weekends. Your first weekend focuses on taking a quick review quiz and pool skills. We meet at The Dive Shop at 9am for class. Feel free to bring food & drinks to class with you. Please bring your Open Water Diver e-Learning Training Record with you, which you may print out from the e-Learning website. Around noon we will take a break for lunch and reconvene at a pool for your first breath's underwater! We use a few local pools like the Sandston & Shady Grove YMCAs. The pool we are using depends on the weekend and facility schedules. Bring a swimsuit, towel, mask, fins, snorkel, & boots with you to the pool. We will provide the rest of the gear. Divers do receive discounts on gear if they purchase it before their pool weekend and you'll be much more comfortable in your own scuba equipment!